Hovis 11 Jan 2019 10:55 am said..
Ruan Ackermann & James Hanson are being interviewed in the Shogun bar at 7 tonight. Be interesting to see how the injuries are progressing. Wilkosam 11 Jan 2019 11:39 am said..
Jacko wrote: Cannot wait for tonight, this is the reason to sit at the big boys table! One huge factor tonight will be Big Ed following O'Mahoney like a bad smell everytime he whines at the ref. He's one of the best around at getting in sir's ear and we need our leaders to be savvy to it. Ben Morgan is tonight's captain, so if Ed does that he'll be causing us more hindrance than help! King Prawn Bhuna 11 Jan 2019 11:46 am said..
7 Hours 58 Mins 37,36,35,34,33....damn thing keeps changing! ShedOrDead 11 Jan 2019 11:54 am said.. Match up between Mostert and O'Mahoney is mouth watering, could be a huge decider in winning the game. The trio of Slater, Grobler and Mostert really need to set the physicality of this game. As has been said, we the fans will be a huge factor tonight, we know they'll travel in numbers and be in great voice. We'll drown them out, this is our back yard, one does not simply walk into Kingsholm and set out your stall. Your fans and your team need to earn your place.... C'mon Glaws!!! Bang on the money for how I'm feeling this am and well said Jacko. Tonight will be something extra special: parking at the Winfield as usual and wandering down the Tewksbury Road as more and more Glaws fans join the steady march, all buzzing with hope and anticipation (and Stowford Press, probably), honestly, THIS is why I want Glaws in the Big Boys cup... then to find a place in the Shed and shout myself hoarse before the game has begun. Froggy 11 Jan 2019 12:27 pm said.. I think that you have to be very careful posting such things. If, as has been done here, and you only look at one or two postings on the Munster site, you could do the same about Shedweb and accuse us as being the same. Read through all the posts and you will get a far better picture of a Munster fan. Yes they are passionate about their team, and why not, as we are about ours. Most also have respect for Glaws and the team we are putting out. They particularly have respect for Cips and see him as a game changer. While one Munster fan criticised Mos, Luds and Morg, yet another had high praise for them. Don't class all their fans by the words of one or two, as you would not want the same for us. Enjoy the game and give Glaws the support they deserve, but have respect for the Munster players and fans, they are your fellow human beings. Tump 11 Jan 2019 12:35 pm said.. I said I cant believe it if you read it properly. It will still be a particularly satisfying win. Jimbodini 11 Jan 2019 12:37 pm said.. Watching an interview from POM on the Munster website he has nothing but praise for Kingsholm the glaws fans and our team. Nothing but respect for them and him as a captain. Munster are a brilliant team with unbelievable travelling support. Tonight will be a fantastic game and occasion. Let’s all get behind our team and have a great craic with the travelling fans. steckers 11 Jan 2019 12:38 pm said..
Thats possibly the best post i’ve read for a long time and everyone should take it on board. Many times, people have said things to me about shedweb such as “cant believe they were saying this or that on there” when in truth it was only 1 or 2 and most were disagreeing. 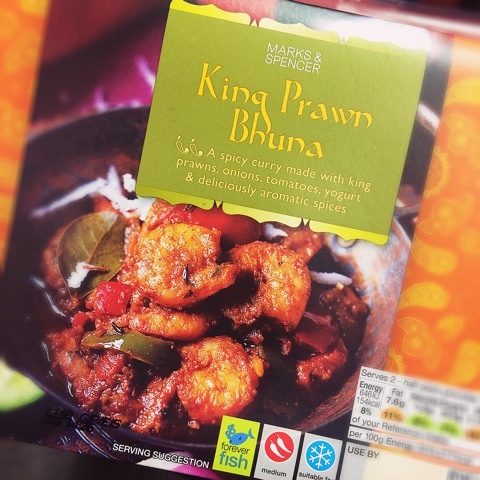 King Prawn Bhuna 11 Jan 2019 13:03 pm said.. Anyway I've got two of the feckers in my car if we aren't having a go at each other all night they'll think I've gone soft...it's just a question of which one of us has to blame Roman P ...and the winner buys the beers back in Cov later. Whichever way it'll be another great night of mutual respect and craic...the language will be forthright...the humour will be bellyaching...and the voice will be hoarse. That's why we need to be on the big stage again. Glawsterkaapie 11 Jan 2019 13:27 pm said..
there simply isn't anything like being able to say "I know 'cos I was there, mind....."